Sisters Carol and Jackie haven't had the easiest of childhoods, but as they grow up and begin their own lives, both hope for happier times ahead. Stylish Carol works in Lewis' department store while Jackie dreams of a career on the stage. 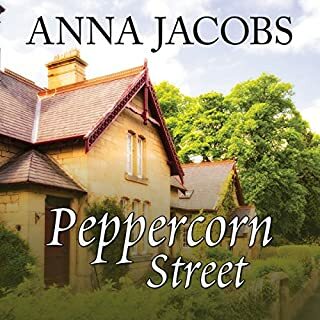 But the sisters are heartbroken when they discover they have been dating the same man, and an unexpected pregnancy causes a rift between them. As the sisters' troubles spiral, will their sisterly bond be destroyed forever? 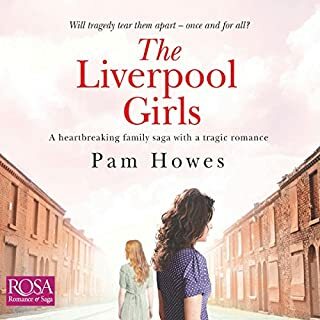 Liverpool, 1946: the blackout blinds may be coming down, but one family is about to face devastating misfortune. 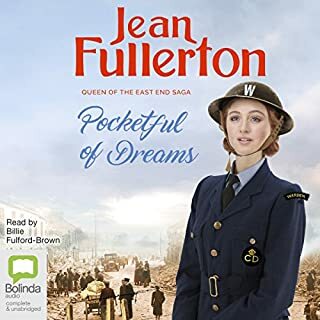 Dora Evans is finally marrying the love of her life, and her dreams of opening a dressmaking business look as if they might come true. With twin daughters on the way, Dora has everything she's ever wanted. But then tragedy strikes: one of Dora's babies dies in infancy, and a catastrophic fire changes their lives forever. Can Dora save herself, her marriage and her daughter? Maureen Jackson is a prisoner of her father's blackmail. Three years ago, she'd been hoping to marry Rory, the man of her dreams. However, after her mother's death, Maureen was left to care for her overbearing father. 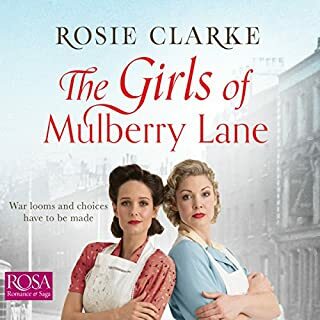 Now Rory is back in London with his pregnant wife and reminds Maureen of the life that should have been hers. 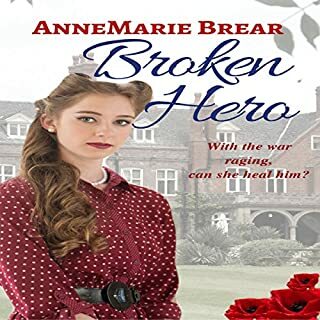 With the war looming, Janet Ashley hopes to marry her sweetheart Mike, but her father refuses to grant them his blessing. Janet finds herself pregnant and her mother Peggy is determined to hold her family together. Flying instructor Ellie Simpson has grown up a tomboy. She's never had an interest in the latest fashions or finding a husband; her only passion is flying her beloved Tiger Moth. But when war is declared, she is no longer be able to do what she loves most - fly. 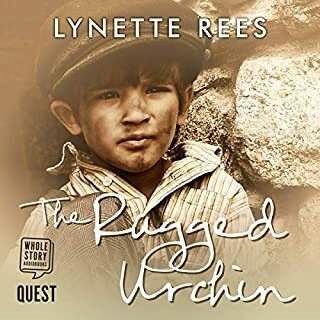 When Cissy Ryan’s real mother comes to claim her from the workhouse, it’s not how she imagined. 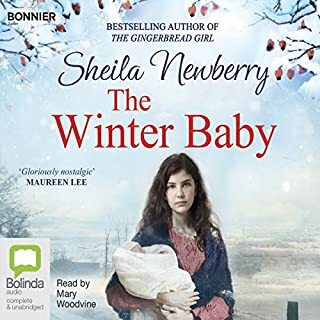 Her family’s tumbledown cottage has ice on the inside of its windows and is in an isolated, poverty-stricken village in the muddy Irish countryside. 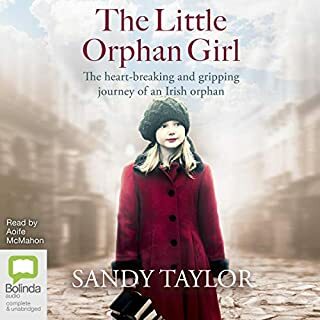 But when Cissy is allowed to help neighbour Colm Doyle and his horse named Blue on their milk round one morning, Cissy starts to feel as though friendship could get her through anything. Janey is 18 and living in a small flat with her baby daughter. 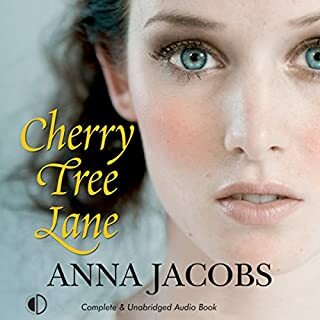 Just as her new life starts to show promise, her past catches up with her. Nicole is renting one of the new luxury flats. She’s just walked away from her husband and teenage sons, tired of being treated as a servant, suspecting her husband of having an affair. Winifred has lived in her large family home for over 80 years but it’s all getting too much, though she doesn’t want to leave. Things are not what they seem, and danger can strike both rich and poor. Hampshire, 1900: With the sudden death of her father, the life of 15-year-old Harriet Benson changes forever. Forced from her home, Harriet is sent into service to provide for the family. Arriving at the grand Dalton House, she meets the owners' crippled son Joseph, with whom friendship soon blossoms. When circumstances force Joseph to leave the family home, Harriet is happy to accompany him. 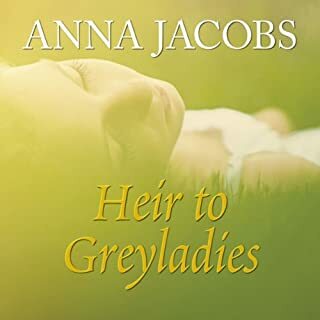 But Harriet is unprepared for her inheritance of Greyladies, a supposedly haunted house in the country. 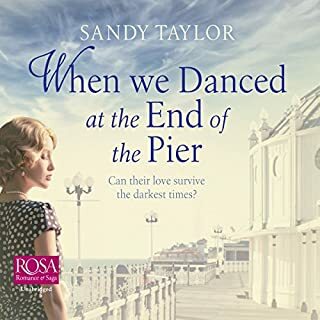 Brighton, 1930: Maureen O'Connell is a carefree girl, but war is looming, and life will never be the same again. Jack and Nelson have always been dear friends to Maureen. Despite their different backgrounds, they've seen each other through thick and thin. 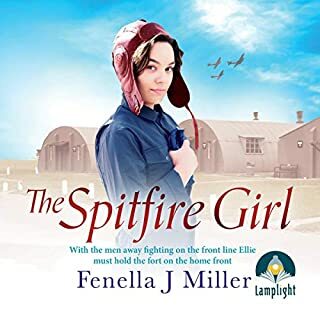 The candle Maureen's always held for Jack burns bright, but just as she's found love, war wrenches them apart. With Jack no longer by her side and Nelson at war, can Maureen look to a brighter future? 1940, Liverpool: Alice Turner and her best friend, Millie Markham, work for the war effort at Rootes munitions factory, making shell caps and Halifax bombers. Alice’s sweetheart, Terry, is home from the front for a brief period of leave. But the honeymoon is soon over. Terry must go back to the dangers of Nazi-occupied France, and the ever-present air raid sirens quickly bring Alice back down to earth. 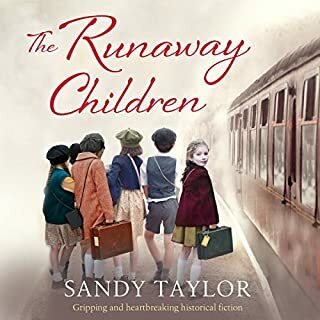 London, 1942: Thirteen-year-old Nell and five-year-old Olive are being sent away from home to escape the devastation of the East End during the Blitz. Leaving behind their beloved mother and brothers, they don’t know if they will ever see them again. 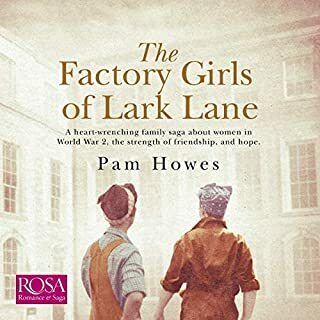 As the sisters adjust to their new life in a close-knit Welsh village, they gradually find hope in the friendships they make. And Nell kindles a special bond with fellow evacuee Jimmy, who makes her smile even at the hardest of times. But when little Olive’s safety is threatened, Nell makes a decision that will change their lives forever. It's 1939, and the Brogan family of London's East End are ready to show Hitler what for. But things don't seem so rosy when rationing, evacuation and air raids start to put this larger-than-life family to the test. 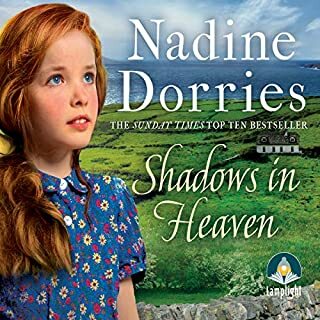 When a mysterious young man arrives at the Brogans' local parish church, he provides just the dazzling distraction they need - and, for eldest daughter Mattie, the promise of more than she'd ever wished for. But as the pair fall deeper in love, they are drawn into secret dangers, rife on the very London streets they call home. 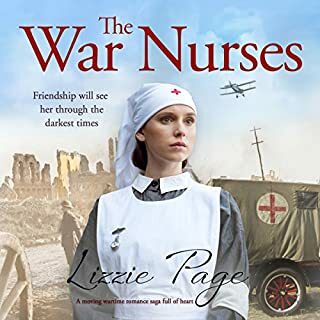 Audrey Pearson's life changed dramatically when WWII broke out and her large home, Twelve Pines on the East Yorkshire coast, became a convalescence home for wounded soldiers. Her life is no longer lavish, with entertainment and beautiful clothes and surrounded by a loving family. Soldiers, physically and mentally wounded, now fill her home. The smell of disinfectant replaces her mother's perfume, and gone are the friends and acquaintances - instead nurses roam the hallways. 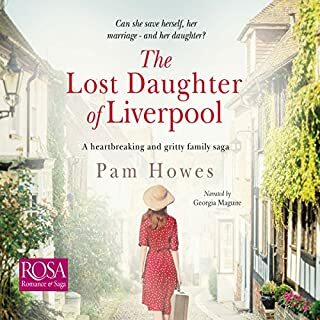 Cecily Hanson longs to live life on her own terms - to leave the shadow of her overbearing mother and marry her childhood sweetheart once he returns from the Great War. But when her fiancé is lost at sea, this future is shattered. Looking for meaning again, she decides to perform for the troops in France. 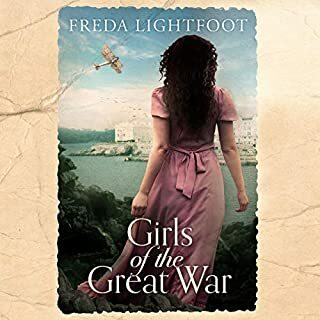 Life on the front line is both rewarding and terrifying, and Cecily soon finds herself more involved - and more in danger - than she ever thought possible. And her family has followed her to France, with her mother seemingly set on a path of self-destruction. Orphaned at the age of 10, Archie Ledbetter is forced to live with his uncle in his very grand house. Uncle Walter seems emotionless, exhibiting little feeling towards the young lad. If it wasn't for some of the staff at Huntington Hall, Archie's life would be a complete misery. There's a dark secret that Cook hints at as to why Archie's mother left her lavish lifestyle behind and ended up settling in the East End of London, scraping a living selling cakes and confectionery from the back of a barrow in the marketplace. Archie's never known his father and wonders who he is. Alone at Christmas, will she find somewhere to call home? No more than 18 years old, alone and heavily pregnant, Kathleen stumbles through the snow, desperate for somewhere to rest her weary head. As the Christmas bells chime around her, she glimpses a man through the haze before collapsing into his arms. Interior Designer Mandy Radcliffe runs a thriving business. Her husband is married to his job and her three daughters are adults with lives of their own. Anyone observing would assume they were a happy and successful middle-class family. Then a phone call and a declaration of love leads Mandy into a secret affair that turns her well ordered life upside down.